The temperature in UAE will be hot in general and hazy at times during the day time, the National Centre of Meteorology (NCM) said. 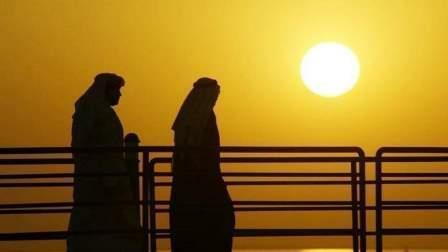 The highest temperature recorded over the country on Monday was 47.5 °C in Mezaira at 3:30pm while lowest temperature recorded today morning was 26.3 °C in Ras Ghanadah at 5:15 am, the weather office said. The forecast says some clouds will appear over some eastern areas may become convective at times by afternoon. Light to moderate winds in general, freshening at times during afternoon. This may cause blowing dust over some exposed areas. Sea will be slight to moderate in the Arabian Gulf and Oman sea. Winds will veer southeasterly to northeasterly, 15 - 25kph, reaching 36kph at times in the internal areas during day time. Maximum temperatures will surge to 49°C inland, with lows of 23°C expected in the mountains. The outlook for the next two days is more of the same, hot in general during the day time, partly cloudy and hazy at times. Light to moderate winds freshening at times over some northern areas, causing blowing dust and poor horizontal visibility over exposed areas.